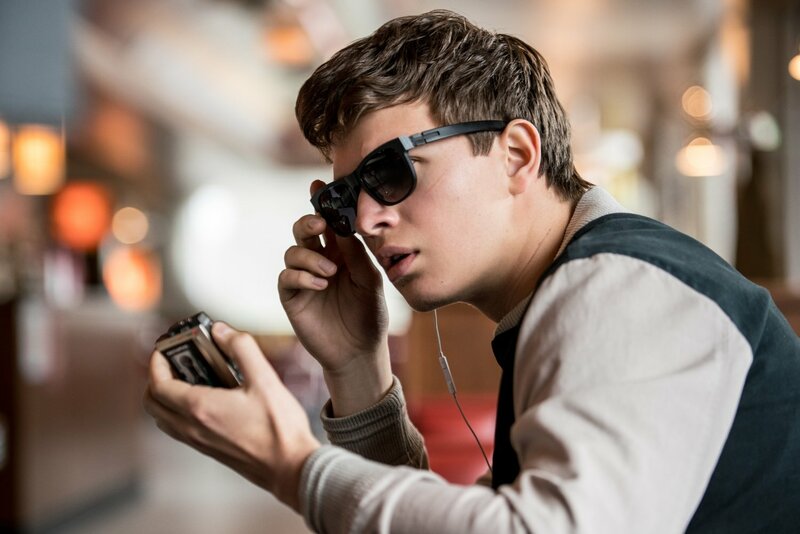 Ansel Elgort stars in Baby Driver (2017). Courtesy Wilson Webb/Sony Pictures. Generally, for easy reference to a director’s style or tendencies it is easier to defer description to previous films themselves than to attempt to mimic them in words. In the case of Edgar Wright, director of Baby Driver, I can’t quite do that. I will still advise that you see Shaun Of The Dead and Hot Fuzz, but it won’t be because it makes my job easier; it is a favour that you owe to yourself, to see such wonderful films. Having drafted and overseen many projects, Wright’s career is best exemplified in his masterpiece Cornetto Trilogy, featuring the above movies, as well as The World’s End. Especially notable for its dry, sarcastic humour imposed over quality action, the trilogy demands attention from any fan of action-comedies. Wright’s 22-year passion project Baby Driver differs from the spectacular trilogy; it is spectacular, don’t get me wrong, but deserves the label of straight action flick more than anything. Starring Ansel Elgort (Fault In Our Stars) as the titular ‘Baby,’ and featuring a high caliber supporting cast of drama and action veterans to back him up (Kevin Spacey, Jon Hamm, Jamie Foxx, Jon Bernthal), Wright’s casting and the performances he teased out are only one of the films many strengths. What stands out about Baby, before I get into the nitty gritty details, is how much effort must have gone into getting it made; after beginning the script more than two decades prior to release, the ongoing-by-necessity ordeal of reworking and tweaking Baby to end up being released in 2017 would have been spectacular. For a frame of reference as to how much time and re-imagining would have been necessary, the lead Ansel Elgort was born 8 months before the script was started. Now that my geek-out moment for Wright’s drive and vision is out of the way, I can tell you about the film’s genuine merits, and by God is there a lot to talk about. Known for efficient, often gorgeous cinematography, Wright does not disappoint. Both thematically and visually, every shot is tight, controlled, and well captured. Considering the magnitude of some of the stunts, many involving hairpin turns at high speeds to Guardians Of The Galaxy-level music selections, this is especially impressive. Lines, well delivered, are reliably hilarious and character-appropriate. I laughed just as much as I gasped, which was pretty often. The humour adapts to its environment successfully, as Wright’s first American set film does not feel out of its depth and realm of experience. Present throughout every shot and every action is a trait that Wright and Baby seem to share: an unerring appreciation for and love of life and art. Baby dances enthusiastically over the streets of Atlanta in the film’s early moments as his truest, freest self. Wright seems just as genuine, unrestrained by convention, and steadfastly refusing to be boring.